At Cirrus, we passionately believe that “all in one” solutions are always a compromise. Instead, we have an Open approach to working with all 3rd party systems, whether we have worked with them before or not. As long as they use Open APIs and we are able to integrate, we will undertake this work as part of the project. We won’t force you to change if you don’t want, enabling you to fully realise a return on your investment in legacy systems. All of our systems integration and development work is carried out in the UK, with a turnaround time measured in weeks, not months. 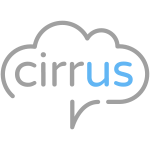 If you want to keep your existing call recording and routing systems, but would prefer to outsource the management to Cirrus, we’ll bring it all under the umbrella of our master services agreement.